The secret to overcoming insomnia is to transform the way you relate to your thoughts and emotions when in bed. Fighting them doesn’t work and only feeds the problem. Instead we need to develop a friendly and non-reactive relationship with our thoughts. This is part of the highly effective approach of Mindfulness Therapy for Insomnia. If you would like to learn more about how to overcome insomnia and the reactive thinking that fuels insomnia and sleep anxiety in general, then do please go to my website and learn more about the online mindfulness therapy approach that I teach. When you feel ready you can simply reach out to me by email and ask any questions you have about online therapy and we can schedule a session at a time that works for you. I see people worldwide mostly in America which is where I am based, but I also see people in Western Europe and as far away as Japan and Australia. Many people are developing a particularly interest in taking care of their insomnia themselves by treating it with mindfulness-based techniques rather than medications. Mindfulness teaches you how to basically work with thoughts and emotions more effectively so that they don’t overwhelm you and control you and don’t create the agitation that prevents the natural onset of sleep. So the sleep response really requires a mind that is free from agitation and stress and anxiety produced by reactive thinking. So in the mindfulness approach we work on changing your relationship to the mind, to those thoughts, so that you don’t increase reactive thinking. The mindfulness approach to insomnia is very effective. I have a lot of experience with it now and and most people see quite dramatic changes within three to four sessions with me. So if you’d like to learn more and you’d like to schedule online therapy your insomnia please go to my website and email me. Thank you. Welcome! 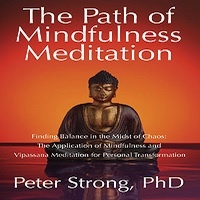 My name is Peter Strong and I specialize in Mindfulness Therapy. This is a system of work that I’ve developed some years ago now, that is very effective for working with anxiety and depression and also insomnia. So I offer online therapy for insomnia via Skype. If you’re interested and learning more, please go to my website and contact me and ask any questions you may have about online Mindfulness Therapy for Insomnia. This approach is very effective indeed for most people with insomnia. The primary issue is how to control habitual reactive thinking. So the typical scenario is that we are trying to go to sleep but then thoughts appear in the mind quite spontaneously. There may be anxiety-related thoughts, they may be depression-related thoughts or they just may be random thoughts that just seem to appear and crowd into the mind. This thought activity creates a lot of agitation and that agitation is what really inhibits the onset of the sleep response, which is a natural physiological process in which the mind naturally reduces activity and the body relaxes and then we’re able to go to sleep. When there’s a large amount of thought activity in the mind that simply inhibits that natural sleep response. So working with thoughts is extremely important. The other thing we need to be aware of is this tendency to develop habitual reactions to thoughts. So we tend to react with aversion and resistance to these thoughts that are intruding into the mind. This creates another layer of thoughts that feeds the general level of agitation. So reactivity to thoughts, what we call secondary reactivity, simply reinforces the problem and often we get trapped in self-reinforcing patterns of reactive thinking that simply escalate out of control, and we get what we call sleep anxiety, which is basically the fear that we will never be able to go to sleep, that we are not going to be able to function the next day, that it is going to ruin our life, and so on. So when we are working with insomnia we look very closely at primary thought reactions and secondary thought reactions. Now in the mindfulness approach we don’t indulge with the thoughts, we don’t engage with them. We don’t argue with them. We’re not really interested in whether they are rational or irrational thoughts and that is not the primary issue here. The primary issue is what is the nature of our relationship to these thoughts. So if we are reacting to the thoughts we will create suffering and stress and agitation. But we can change that by learning how to recognize thoughts, to see them clearly, but without reacting and without becoming lost in the stream of thoughts. So this is developing what we call the Observer status in the mind. This quality of pure conscious awareness that sees thoughts but does not identify with them and does not react to them. So the way we cultivate this is by mindfulness meditation, whereby we deliberately meditate on those thoughts. And you can do this in bed whilst you are in the process of going to sleep. You can watch for those thoughts as they arise, and now in the mindfulness method, when we see those thoughts we respond quite differently. We respond with friendliness, the opposite of aversion and resistance. We actually welcome the thoughts. We might cultivate this internal response of, “I see you. Welcome!” That is a basic mindfulness response to all experiences. That is one that is non-reactive by its nature and that keeps you as the Observer, so that you don’t lose that perspective and become lost in the stream of thoughts. So we do that while we’re in bed, sleeping. That is a perfectly good time to meditate. We can also do the same approach the next day when we can find time, perhaps in the morning, or before going to sleep, in the afternoon or early evening. We can deliberately re-access the observer status of mind, just watching whatever thoughts arise. So really cultivating this identity and that’s a very good place to be in general, where you are the Observer and not the observed, where you are the observer of thoughts and not identified with thoughts. So if you’d like to learn more about this online Mindfulness Therapy for insomnia please go to my website and then contact me via email. Typically people see substantial changes within three to four sessions of online therapy. Even after the first session you will go away with very practical ways of working with your thoughts that are going to help you considerably, and this will get stronger and stronger as you practice these methods. The mindfulness response to thoughts. We don’t try to get rid of thoughts, that is a wrong practice. Instead we change the relationship that we have to those thoughts from one which is agitation-based and reactive, to one that is calm, friendly, open, spacious, non-reactive. There are other very interesting approaches in the mindfulness therapy approach that you can apply. One very popular one that works extremely well for most people and that you can try yourself, is to see those thoughts as small objects, like a pebble or a grain of sand, and then in your imagination move them from where you see them in the mind to placing them on the floor beside the bed. Changing the position of thoughts is very important. Working with the imagery of thoughts is very important because really the stress or the agitation level of those thoughts is not totally to do with the thoughts; it is to do with their imagery. And in this case there’s not enough space around the thoughts. When they are come clustered and concentrated in the mind space, that creates a chaotic and agitated state. And it is simply because there’s not enough space for those thoughts. So we can deliberately increase the space around the thoughts by moving them and putting them on the floor beside you; make a little pile of thoughts. This simple strategy creates more space and that leads to less reactivity and less agitation, which then helps the natural onset of the sleep response. And it also increases your true identity as the Observer, because you are the one that’s moving those thoughts. So you are not lost in the thoughts, you are moving them, interacting with them. So that’s a very practical technique that you can practice in addition to the mindfulness response to thoughts. Try this for yourself and see how it works. If you need more help with the mindfulness approach to working with insomnia simply set up a Skype Therapy session with me and I’ll help you more. So this is a brief introduction to online Mindfulness Therapy for insomnia.